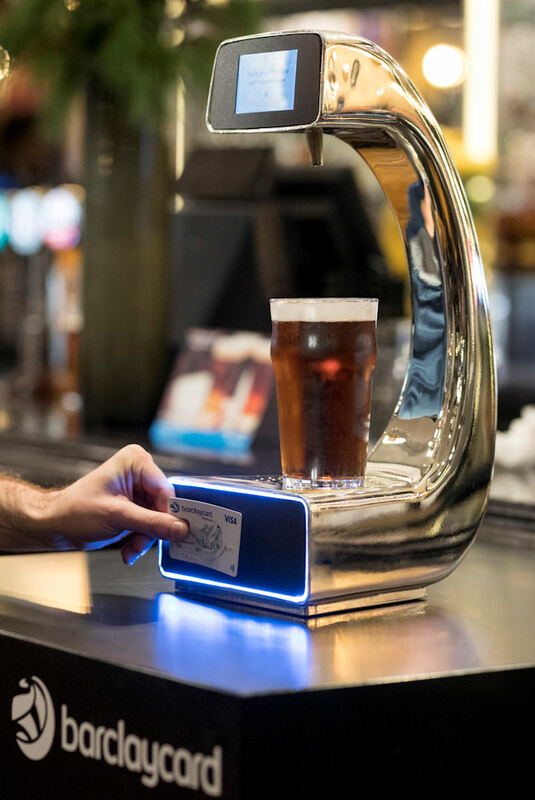 Pay @ Pump is a self-service beer pump that you can pay for contactlessly with your phone, enabling punters to get drunk more quickly than ever before. The innovation was inspired by Barclaycard’s empathy for UK boozers who often have to wait for minutes for their next fix of lovely, wholesome ale. The resulting loss of drinking productivity is a cause of national concern as arguments about the football and character assassinations of absent colleagues are being put on hold in order to stand at the bar, staring plaintively at ruthlessly exploited students and backpackers. “I’m sure everyone has been stuck behind the person who orders the most complicated cocktail on the menu or a round of ten drinks for their group of friends,” said Tami Hargreaves, Commercial Director for Digital Consumer Payments at Barclaycard. A Pay @ Pump prototype was installed at Henry’s Bar in Piccadilly, but just for one morning, so Christmas revellers missed the opportunity to get puke-drunk by 8pm, or even earlier. Barclaycard research reveals the average waiting time for a drink at this time of year is a shocking 12 minutes and that 19% of people crave solutions such as this. Among the measures resorted to by parched punters are waving cash (21%) and flirting (28%) and it’s good to see at least one company stepping up to the plate to tackle this crisis.